Oh yes, SNOE has reached its 10th release, and is celebrating with four big bangs! The release is the first in the V.A. series called SNOEflakes, which is a 4 track groove monster consisting of tracks from both well-known and new artists, the key is fatness. DJ Raid is back, this time with his buddy DJ Fronter. In Everything Has Its Own Groove they have cooked together an incredibly addicting track with a kicking bassline and driving groove. As newcomer on the label, Ucha has joined the crew with the second track. Flash Mob Attacks only goes upwards and forwards. It kicks in with snappy percussions and drum loops, combined with intoxicating sounds where you cant stand still. The third track comes from labelfriends Luigi Rocca and Manuel De La Mare. They add to the mixture a powerful, dark, and technoid heavyweight immediately recognized by its magnificent synth. Number four is the incredibly charming 7 Days by mr. Whoami. It is a track that strikes a groove right away. You just want to move when it is rolling over the dancefloor with a fun and funky vibe, really making the release a bowl of candy with a special treat for everyones taste. 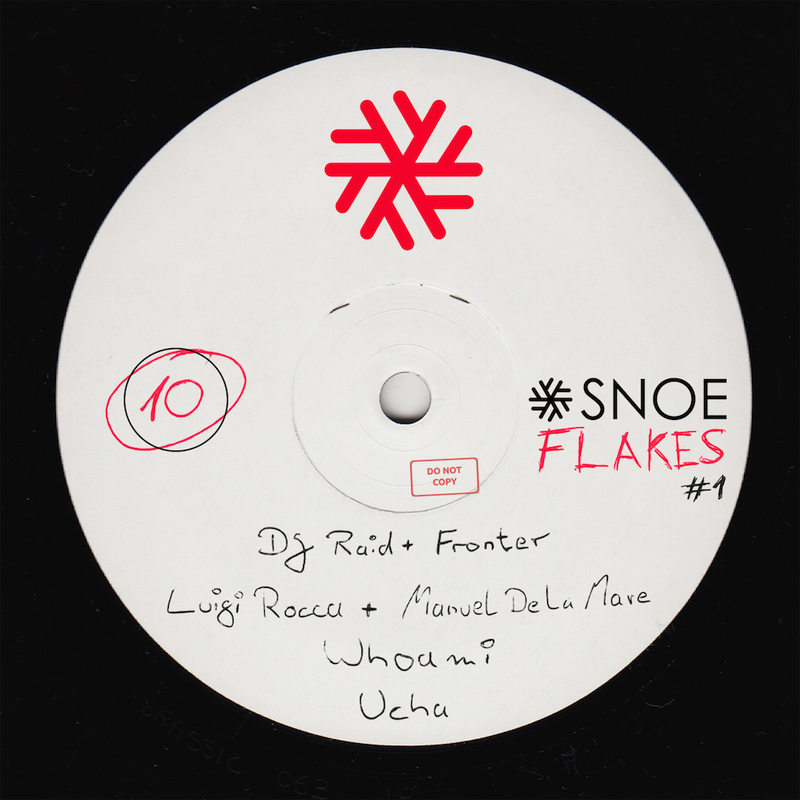 Enjoy this 4 A-side track collection, SNOEflakes #1.